The Tundra-M can turn into a formidably effective and pliable work tool, thanks to the unit’s four quick connect arms as well as three accessory connections. This makes the Tundra-M suitable for a variety of flight scenarios. 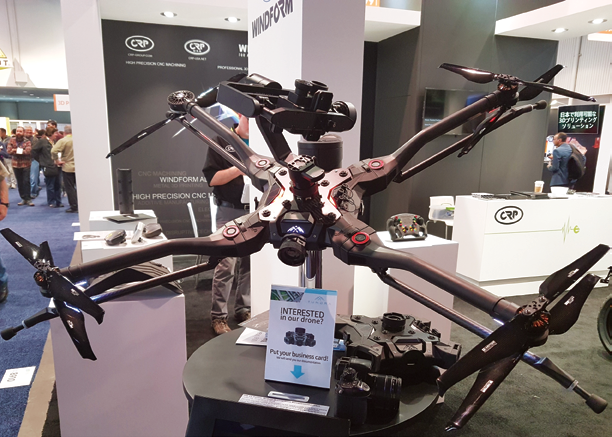 The body, as well as the main parts of the UAS, have been implemented with the composite polyamide based material carbon filled Windform® SP and Windform® XT 2.0: the four arms supporting the body frame of the Tundra were 3D printed using Windform® XT 2.0 composite material. The remainder of the components and the body structure were developed with the Windform® SP composite material. Understanding the limitations with traditional manufacturing technologies, the opportunity to develop a unique drone based on the use of Additive Manufacturing (AM) technologies was identified. AM technologies in UAS applications has presented opportunities and challenges to engineers in the field. The ability to produce parts and components using AM technologies holds promise in metals and plastics, whereas traditional Subtractive Manufacturing technologies can be restrictive in design development and material selection. Hexadrone CEO Alexandre Labesse said that the company has engineered their drone by means of a cautious, multi-faceted and collaborative approach with the involvement of many broad-based stakeholders. Over the course of two years of consulting and R&D, the company has gathered all of the advice and customers’ testimonials useful to the design process, which finally helped the firm in the process of devising an ideal UAV solution. AM technology is often faster than designing and producing a tool for use with traditional manufacturing technologies. Furthermore, 3D printing has given engineers more flexibility in the timeline to engage in design improvements and enables them to think outside of the limitations caused by traditional tooling. The decision to use AM made it possible to substantially reduce the manufacturing costs and has been convenient in terms of timing, when compared to traditional production methods. The unique properties of Windform® XT 2.0 and Windform® SP composite materials have allowed system optimization that successfully withstands the necessary design requirements of space limitations and the extreme stress conditions that occur during flights. “The Windform® selective laser sintering technology,” Alexandre Labesse said, “and allowed us to easily prototype key components of our product, to out compete the plastic injection molding process in terms of deadlines, cost, and to test our prototype in real life conditions with almost the same mechanical characteristic. 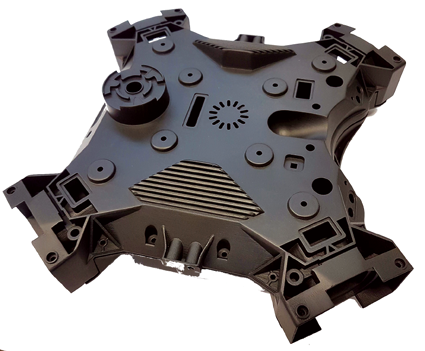 CRP Technology provided a fast response time to new requirements and enjoyed solid cooperation with Hexadrone and the CAD designer and obtained the best output quality using this unique and proprietary process. The most interesting parts that have been made using the Windform® SP and the Windform® XT 2.0 are the body frame, which is composed of the main frame, plus a removable top lid. This component contains the brain of the Tundra-M (the main circuit boards as well as the cooling system). Labesse continued, “To devise this component, we were in need of a water-resistant, durable and sturdy material. Moreover, this sturdy frame comes with an emergency parachute, four removable and scalable arms, two batteries as well as three easily interfaceable accessories. The Windform® composite material used for the body frame is Windform® SP due to its mechanical and thermal properties. • Flight tests, to determine whether the mounted parts can handle the different strains encountered throughout the many different flight scenarios. Windform® XT 2.0 and Windform® SP are the LS polyamide-based, carbon fiber reinforced, Windform® materials within the Windform® family of high-performance composite materials. Windform® XT 2.0 is the ground breaking carbon fiber reinforced composite 3D printing material well-regarded for its mechanical properties and is particularly suitable in demanding applications. Windform® XT 2.0 is an innovative material that replaces the previous formula of Windform® XT in the Windform® family of materials. Windform® XT 2.0 features improvements in mechanical properties, including +8 percent increase in tensile strength, +22 percent in tensile modulus and a +46 percent increase in elongation at break. The material allows for the creation of accurate, reliable, and durable prototypes and is perfect for functional applications. Windform® SP has excellent mechanical properties similar to Windform® XT 2.0, with the addition of increased resistance to shock, vibrations and deformation. The material also shows increases in impact strength and elongation at break, as well as excellent thermal properties and resistance to high temperatures. 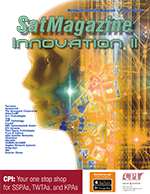 The author is Matteo Levoni Bemposti of CRP Technologies.